A multidisciplinary event to celebrate the third album by Brooklyn noise act White Suns, Totem, released on CD and LP by San Francisco-based label The Flenser. White Suns has existed since 2006 and is comprised of members Kevin Barry, Dana Matthiessen and Rick Visser. The band sculpts sound using detuned guitars, amplified drums, and makeshift electronics. Their aural explorations begin at the intersection of punk and electronics-based noise, oscillating between crushingly dense assaults and articulate hushed passages. 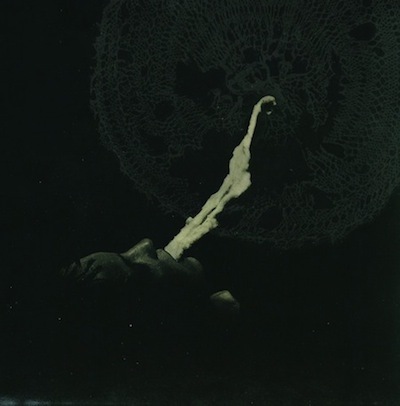 While in NYC, White Suns have released two full-length albums – Waking In The Reservoir (UgExplode, 2011) and Sinews (Load, 2012) – along with a handful of small-run releases. Their material has received accolades from the New Yorker, SPIN, Pitchfork, and Tiny Mix Tapes among others. White Suns has extensively toured the U.S. and garnered a reputation as an intense and uncompromising live act.